Spitfire Books started from a collection of personal memorabilia given to me by my grandfather who was in the RAF in WWII. 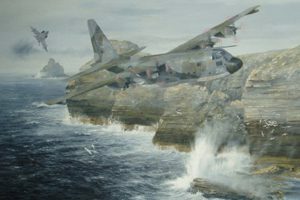 I started reading aviation books in 1973 and a signed copy of Bob Stanford Tuck’s biography ‘Fly For Your Life’ ignited my passion for flying which led me to join the RAF as a pilot. 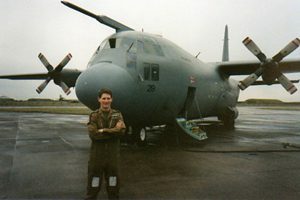 After flying training I was posted to fly the C130 Hercules and was almost immediately involved in operations in the Falkland Islands doing air to air refuelling, maritime reconnaissance and flying the famous ‘airbridge’. 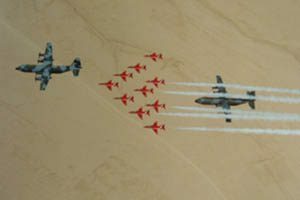 In 1985 I spent a month participating in famine relief operations in Ethiopia and in 1986 my crew flew the Hercules accompanying the Red Arrows on a 6-week tour of the Far East. I was then selected for instructor training at the RAF Central Flying School and spent 6 years instructing on Bulldog and Jetstream aircraft before returning to the Hercules as a Training Captain. 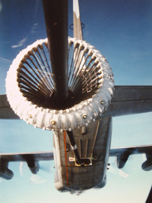 Operational flying took me all over the globe as well as duties in support of the UN in Africa, Bosnia, Eastern Europe and the Gulf. On retirement from the RAF with nearly 5000 military flying hours, I joined the newly launched Debonair Airways as a BAe 146 Captain. 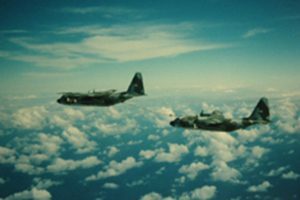 It was during this time that I became associated with Intelligent Television and Video when I wrote and presented a video programme for their ‘Flightdeck’ Series. 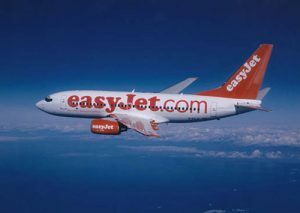 In 2000 I joined easyJet as a Captain, flying the Boeing 737 and after some 5000 hours flying and instructing on both the Classic and Next Generation versions, I converted onto the Airbus A319/320 which is what I fly now. I also spent 4 years flying as an RAF volunteer reserve pilot, taking Air Cadets on air experience flights in the Grob Tutor. 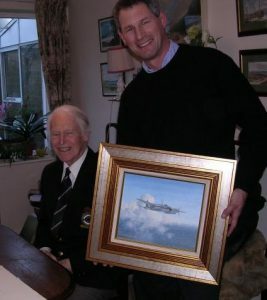 I have always been interested in aviation art and in 2002 I teamed up again with ITVV and artist friend Robin Smith to produce a programme showing the creation of a wonderful painting together with some superb sequences with the Battle of Britain Memorial Flight. My experience and interest in signed aviation books and memorabilia has led to the launch of Spitfire Books. I like to attend events, meet veterans and scour the country for interesting books. I aim to supply the highest quality examples to the discerning collector. I am meticulous in the selection and description of books and will not list a signed item that does not meet my high standards of verification. I look forward to providing a reliable, friendly service and being able to discuss shared interests with fellow collectors around the world.